- Iceland 24 - Iceland Travel and Info Guide : What to do in Iceland - Diving, snorkelling, surfing, fishing...? What to do in Iceland - Diving, snorkelling, surfing, fishing...? If you are an experienced kayaker, you can cross most rivers in Iceland and even venture out to sea. Some stunts, including that of Faxi in southern Iceland, is known to be a favorite place for kayakers. 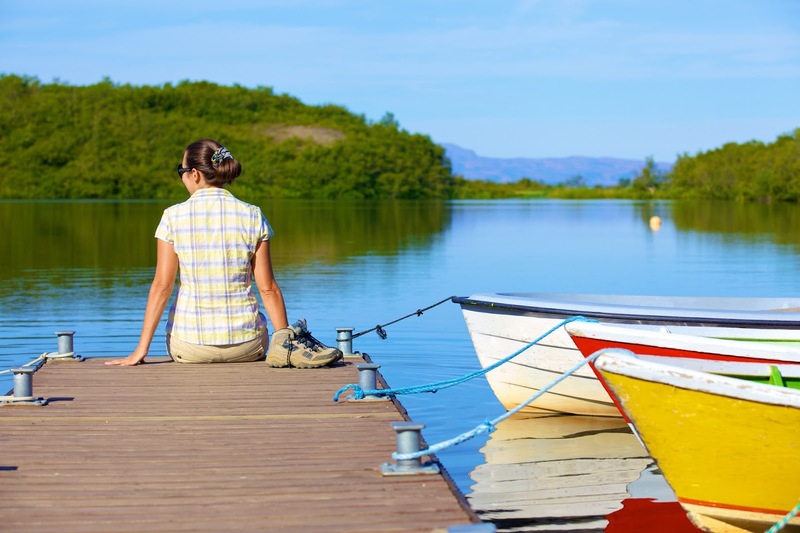 If you prefer to use a professional service (and you should at least be one yourself), the agencies the Arctic Adventures in Reykjavík, the Travelling Viking in Akureyri and Skagafjordur all offer few hours aboard a kayak. Of course, Iceland is certainly not the country that springs to mind when talking about surfing. Although, not part of Icelandic culture, surfing has become increasingly popular here and is readily available for beginners. Icelandic surfers tend not to share information publicly about the best places to surf, even though everyone knows that the Reykjanes peninsula is a famous spot for surfing. 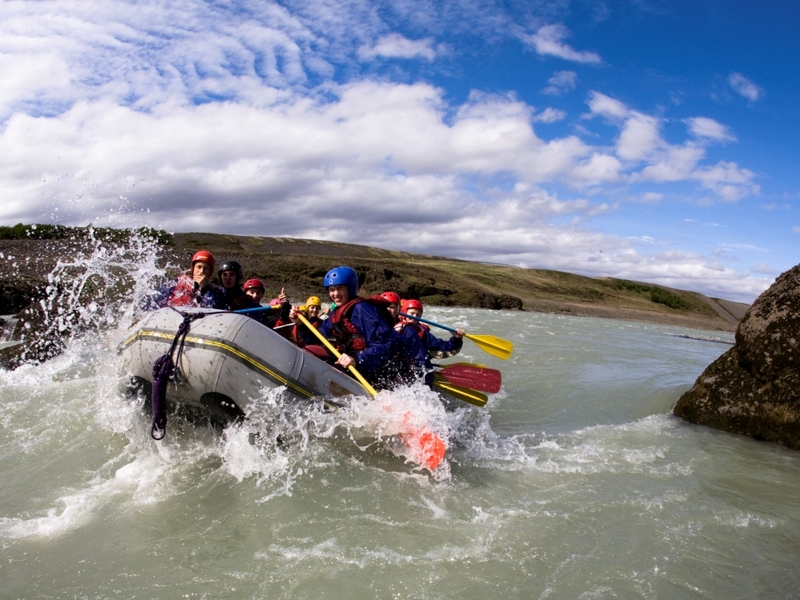 In Iceland, it is possible to go rafting on the river Hvita in the south and the river Jökulsá in the north. The guides (who often come from Nepal, because it 's hard to find specialists rafting in Iceland) take you on the icy rivers of Iceland where fun and adventure is guaranteed! 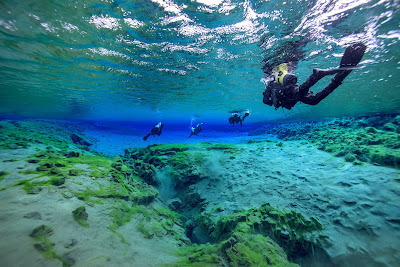 Fault Silfra in Thingvellir National Park is a popular destination for diving enthusiasts every season of the year. Many companies are offering excursions even if the Silfra water is very cold (about 2 degrees), the equipment available will keep you "warm". Iceland also offers scuba diving for more experienced divers and leads you back into the fault Silfra on the site of Thingvellir, where the Icelandic parliament was created in the year 930. The depth of the water is from 20 to 40 meters, and the water clarity promises an unprecedented spectacle. Note: All diving agencies require a PADI certificate, and also, remember to give your diving suit measurements when booking. Iceland is the perfect destination for watching puffins, seals, and whales. Summer is the best season to observe these animals; from April to September for whales, from May to October for seals, and from mid-May to mid-August for puffins. You can go on boat trips to see these three animals, but be aware that if it is the season, you will surely see some puffins if you go whale watching. Even if you are not particularly a fan of these animals, just to sail the seas around Iceland is worth it! Agencies all over the Island offer to take you by boat. 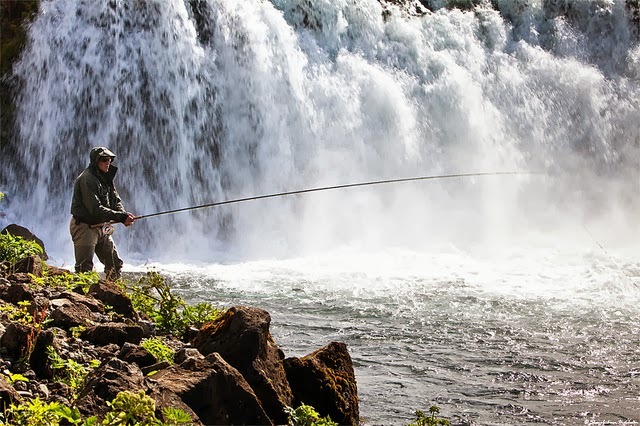 Fishing is a popular pastime in Iceland, and you can obtain a license to go fishing in most lakes and rivers in the country. If you prefer, you can ask a local agency to take you fishing with professionals. With any luck, you will have the opportunity to eat the fish you caught for lunch! We are unable to talk about Icelandic water without mentioning hot water pools, even if the topic deserves an article all on its own. You will find on the internet all the pools and hot springs of Iceland.